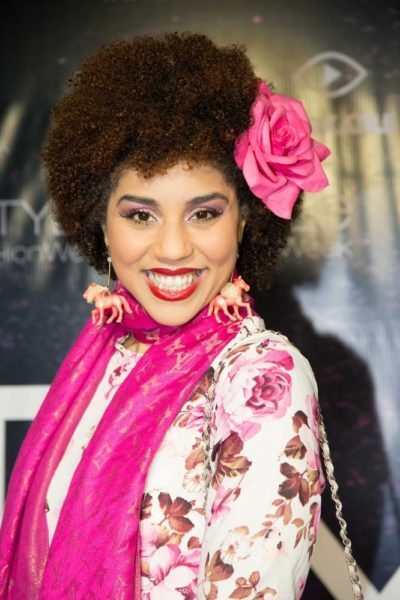 Joy Villa, better known by her stage name Princess Joy Villa, is an American singer and songwriter. Joy started performing at age five. Joy’s father, The Rev. Joseph Mario Villa, was of Italian/Sicilian descent. Half of his family were Italians who lived in Argentina. Joy’s mother, Mildred Angela (Pierce), was African-American. She is also said to have had Choctaw Native American ancestry. It is not clear if this Choctaw Native American ancestry has been verified/documented. She is married to Danish writer and photographer Thorsten Overgaard. Joy’s maternal great-uncle was jazz vocalist Kenny Hagood. 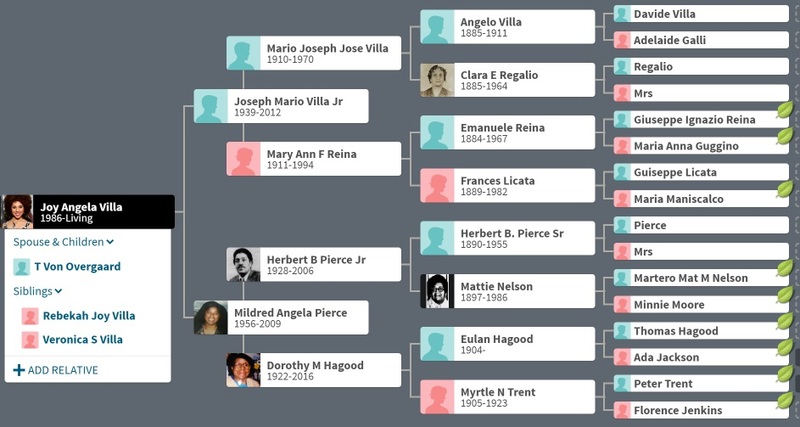 Joy’s paternal grandfather was Mario Joseph Jose Villa (the son of Angelo Villa and Clara E. Regalio). Mario was born in Argentina, to Italian parents. Angelo was the son of Davide Villa and Adelaide Galli. Joy’s paternal grandmother was Mary Ann F. Reina (the daughter of Emanuele Reina and Frances Licata). Mary Ann was born in Florida, to Italian parents, with roots in Province of Agrigento, Sicily. Emanuele was the son of Giuseppe Ignazio Reina and Maria Anna Guggino. Frances was the daughter of Guiseppe Licata and Maria Maniscalco. Joy’s maternal grandfather was Herbert B. Pierce, Jr. (the son of Herbert B. Pierce and Mattie Nelson). Joy’s grandfather Herbert was born in Mississippi. Mattie was the daughter of Martero Mat M. Nelson and Minnie Moore. Joy’s maternal grandmother was Dorothy M. Hagood (the daughter of Eulan Hagood and Myrtle N. Trent). Dorothy was born in Pennsylvania. Eulan was the son of Thomas Hagood and Ada Jackson. Myrtle was the daughter of Peter Trent and Florence Jenkins. Florence’s father, John W. Jenkins, fought with the Colored Troops Military Service in the Union Army during the Civil War. Her father is often said to be of Italian and Argentinian descent. Her paternal grandfather is (said to be) Mario Villa, who was on the national football team. She’s half Italian and half African-American. her paternal grandmother’s family is Sicilian from Province of Agrigento.